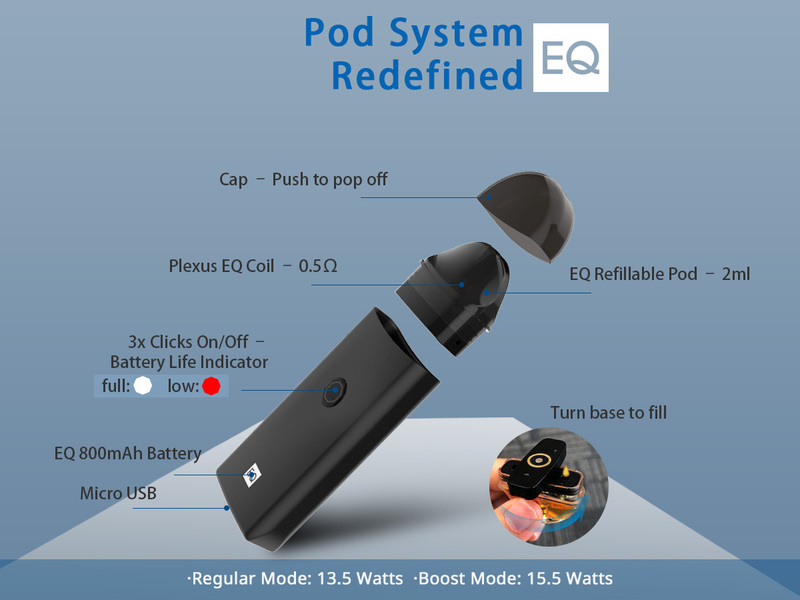 The Innokin EQ Pod System features a magnetic refillable pod/cartridge system that utilizes the new Plexus EQ 0.5ohm mesh coil designed for mouth to lung users. 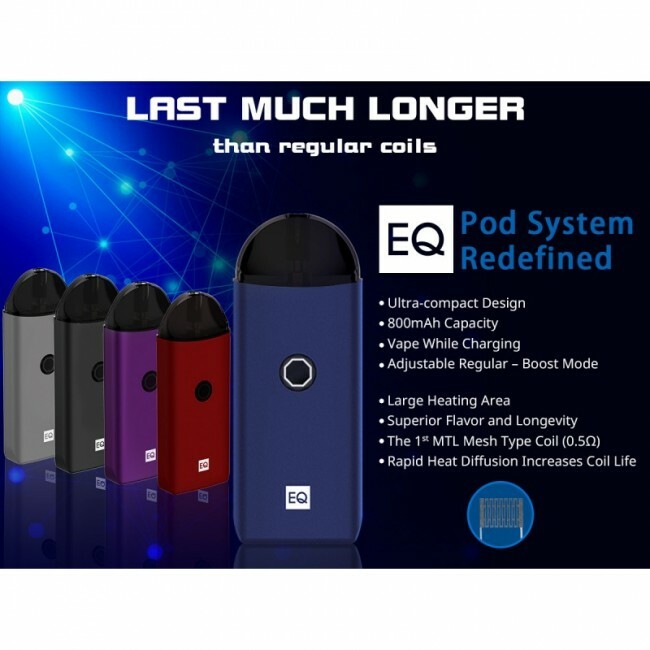 The Plexus EQ mesh coil design feature superior flavor, longevity, ultra fast wicking, and also helps reduce hot spots for a smooth and long lasting vaping experience. 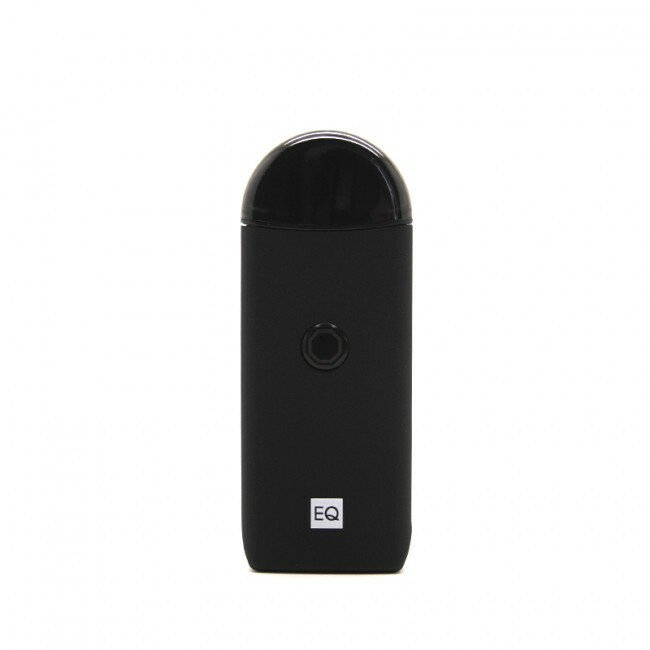 The EQ features a built-in 800mAh battery capacity with a simple one button design. The EQ features a regular output mode of 13.5 watts and a boost output mode of 15.5 watts. 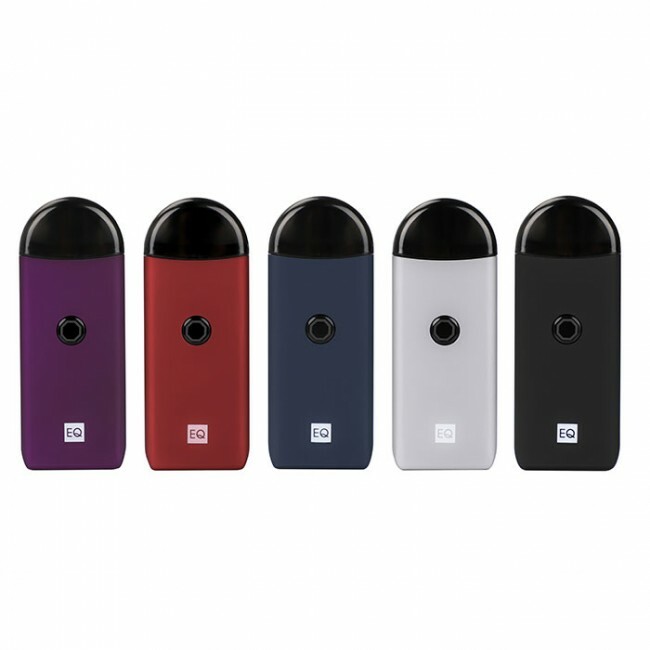 The EQ includes (1) refillable empty EQ pod cartridge which may be filled with your favorite e-liquid of your own choosing. The EQ is charged via the bottom micro USB charging port.